Our Managing Director, Michael Bischof, worked closely with Manor Park School and Nursery in Knutsford, Cheshire, to develop a high quality, exciting sporting area that will last for many years to come. Previously, the only areas the school had for sports were tarmac and grass, resulting in slippery concrete and grazed knees or muddy shoes and waterlogged, unusable fields during poor weather. When the unfortunate weather did arrive, PE lessons and after school activities would often have to be cancelled. 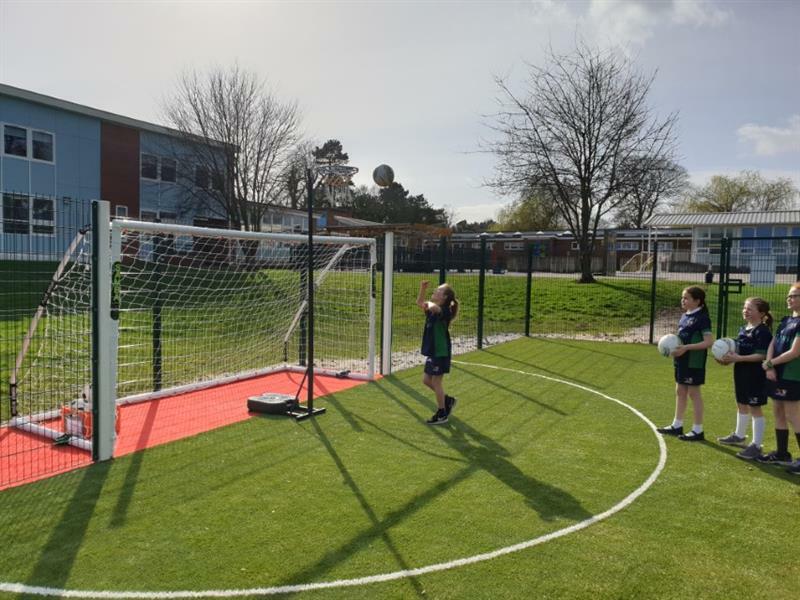 To create a dedicated sporting area, we installed a magnificent Multi Use Kick About Area that measures 25 Meters by 16 Meters: cost effective but also reaping the benefits the pitch brings. 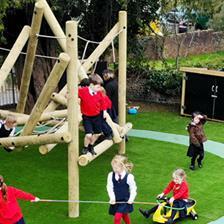 We installed our high quality, hard wearing Multi Sport Artificial Grass that is very low maintenance compared to natural grass and creates a soft surface for children to tumble onto - minimising injuries. As this fantastic sports surfacing is free draining, the area can be used all season and during any weather. Children will never look up at the sky upset that PE has been cancelled again. 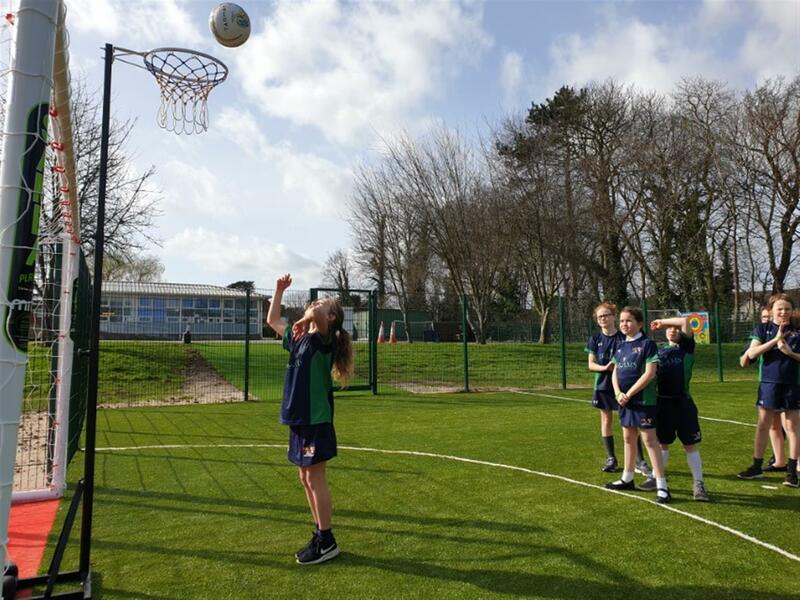 The new MUGA has enhanced the schools sporting provision while boosting the children’s physical skills. As the children can now participate in sporting activities without the elements preventing them, they are learning to lead a healthy lifestyle. Enabling daily exercise, combined with theory lessons, will enhance children’s understanding of a healthy lifestyle and teach them the importance of leading one: tackling childhood obesity. As well as tackling obesity, children will also be further developing their fundamental movement skills, specific skills in their chosen sports, upper and lower body strength, cardiovascular fitness, gross motor skills, overall body strength and their love of physical activity. The Multi Use Games Area has been the perfect addition to developing a long lasting sporting legacy for the school due to the benefits it brings and the enhancements to the schools sporting provision. 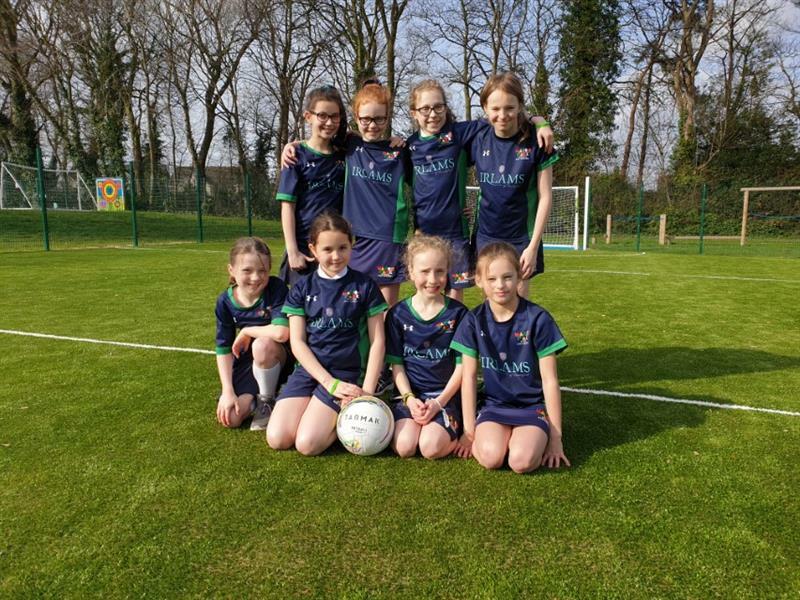 As the school can ensure children are able to attempt a range of different sports, children will most likely find the sport they truly enjoy and would like to be able to carry on into high school and eventually adulthood. 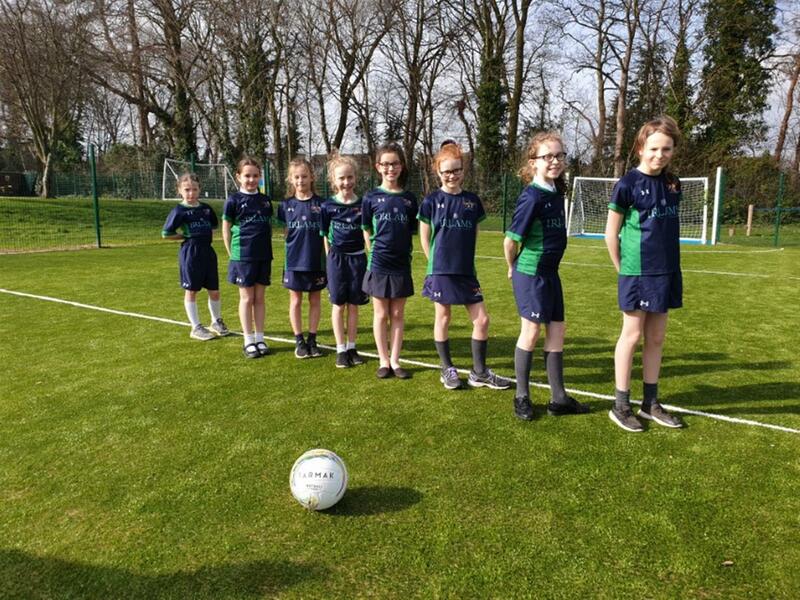 The schools Girls Netball team are more than delighted with their new facilities as it means they now have an area to practice on all year round! 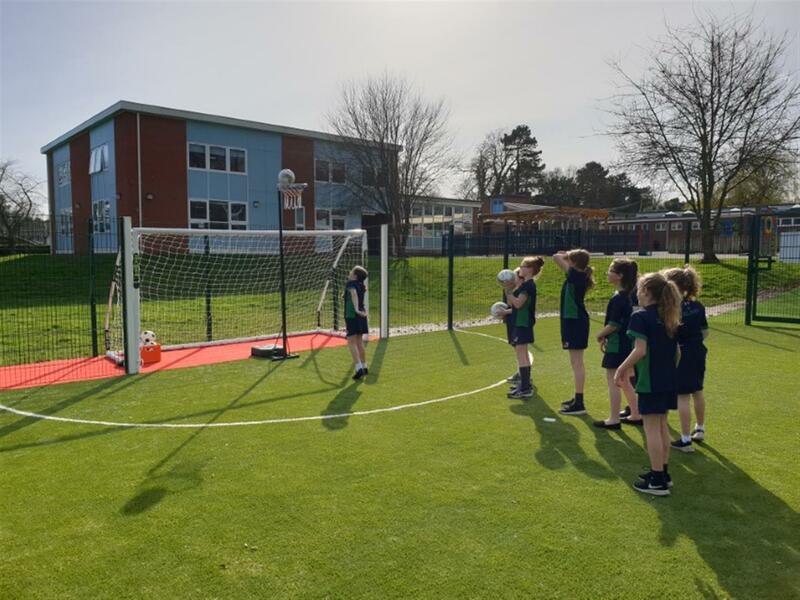 Along with the fantastic all-weather Artificial Grass Sports Surfacing, we also installed a wonderful selection of features to meet the schools needs. 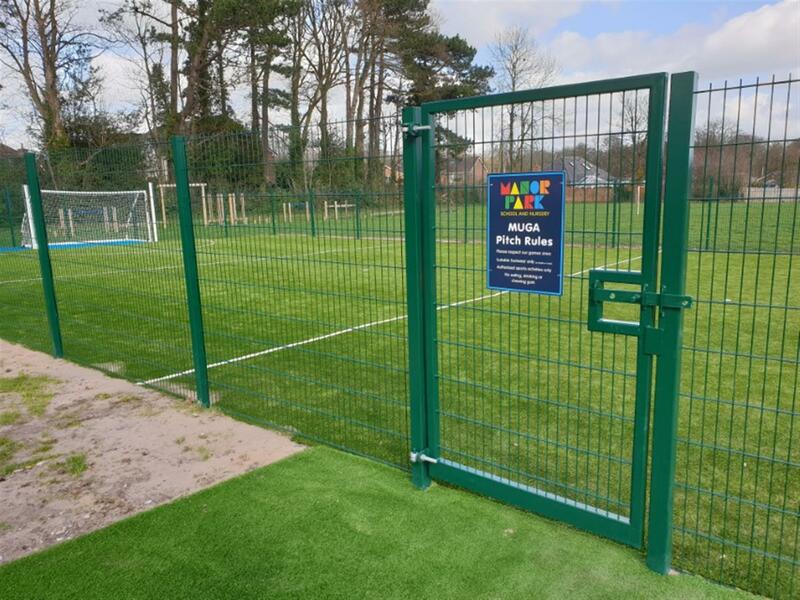 Ensuring the pitch is secure overnight and only used under supervision of school staff, we installed anti-climb Twin Mesh Sports Fencing with a lockable gate. The fencing is transparent meaning that safeguarding and supervision are not effected in addition to allowing other children to gather around the perimeter to watch their peers participate in sporting activities: younger children love watching in awe, aspiring to be good as the older children. Netball, basketball, football and hockey games can now take place with minimal set up. There is no waiting for the field to dry out, grass to be cut and lines to be painted either! Coloured Recessed Goal Ends with additional storage has solved another problem the school faced: a lack of space for sporting equipment. The additional storage at each end of the pitch means that equipment like netball posts or basketball posts can be stored out of the way when not in use. This is a big relief for the teachers as they no longer have to spend time recruiting the children to carry nets and other equipment across to the pitch – PE lessons can start without the hassle of digging through the dreaded sports equipment storage cupboard attempting to find where the base of the net went. The Recessed Goals are coloured with one side being blue and the other being red. With this excellent design, it has created a simple and easy way for teachers to split the children into teams - there is no hassle with children trying to remember what group they should be in. 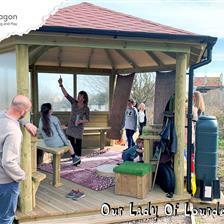 The Multi Use Games Area has been installed adjacent to the concrete playground onto the school field. However to prevent mud being trod back into the classroom or onto the vibrant sports pitch, we have included an all weather path wide enough to allow children to walk side by side, carrying on their conversations without stepping onto the muddy grass before beginning their lesson. As the pathway runs directly from the concrete to the gate, the pitch can be accessed all year round. MUGA’s are a fantastic resource for sports games, but for many, especially KS1 children, they are a fantastic, safe space for younger children to practise fundamental movement and ball skills too. 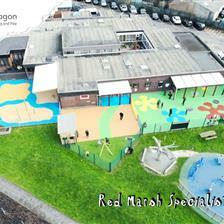 Pentagon Play have been building incredible Multi Use Games Areas for over 20 years. They can be designed and installed exactly to your requirements and we even manage the entire process from design through to installation. If you’d like to arrange a free consultation, please feel free to Contact Us.